The Certificate III in Early Childhood Education and Care is an entry level qualification and the minimum legal requirement for every child care worker in Australia. This qualification covers the fundamentals of early childhood development, education and care. Upon completion of this qualification you will have the skills, knowledge and experience to support the health, safety and development of children and to plan activities to promote children’s learning through play. Offered our online learning portal with dedicated trainer support, you can now study anywhere, anytime! Whichever delivery mode suits your lifestyle, our experienced and supportive trainers will be with you every step of the way. Kick start your career today. You need to either provide a current Working With Children Check (WWCC) or provide evidence that you have applied for a WWCC. Find out more information here. If you are unable to obtain a WWCC you will not be able to complete the requirements of the course and will not be eligible for government-subsidised training for this course. Offered in the workplace our virtual campus via our online learning portal with dedicated trainer support, you can now study anywhere, anytime! This program requires a minimum of 180 hours to be logged in at least one education and care service. If you are not already in the workplace we can help you organise practical placement in a centre that is suitable to you. Learn more. 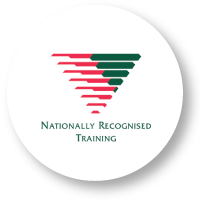 You will be provided with a qualified trainer and workplace/placement coach who will support you throughout your entire learning journey. Your trainer will provide you with individualised feedback on all your assessments and support you every step of the way. As well as face-to-face visits, for extra support, your trainer is available to help via phone or email too. For information on fees, government funding and payment options please click here.